The Bubbles Bike of Amsterdam! The Prosecco Bike in Amsterdam is a great activity, especially when you are on a Hen Party or Bachelorette Party! You will have lovely bubbles on the bike, while your designated driver tours you through the city of Amsterdam. The chauffeur will ensure your Hen will have a unique last day of ‘Bacheloretteness’! The prosecco bike is a great way to socialize with your friends, have some drinks and do a little exercise as well. 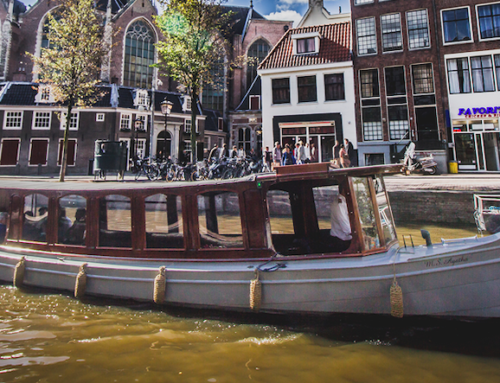 And if Amsterdam is showing you her best with a sunny day, it can be made into a convertible. The Prosecco bike is still one of the most popular activities for a bachelorette party in Amsterdam! None of you have to worry about the driving though, as your 100% sober chauffeur will take care of the steering and maneuvering safely through town. You only have to worry about drinking your Prosecco on the bike and getting those legs moving to get a little workout done. 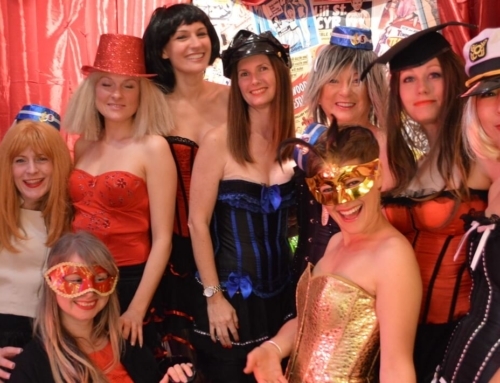 Lots of fun for a Hen Party or Bachelorette Party! The Prosecco Bike tour will start close to Amsterdam Central Station. Eventually you will end at Amsterdam Central Station area again after the prosecco bike tour. The maximum amount of people that will fit on one bike is 17 people of which 10 can be pedaling. For a larger group you can always book 2 Prosecco bikes. We have different kind of bikes. We recommend you to be with at least 6 people when you rent this bike. 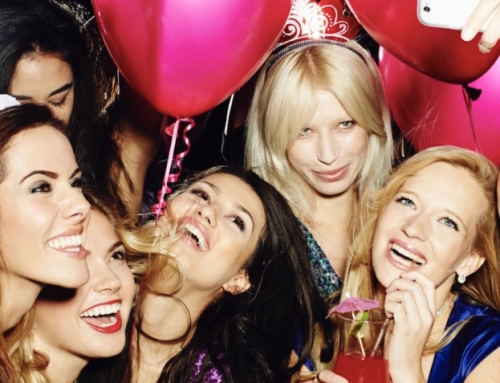 This is a fun & entertaining activity to do when you are celebrating your Hen Party or Bachelorette in Amsterdam with a group of friends. So let’s book it and have some FUN!! Feel free to contact us when you have any questions or get a quote when your interested in renting the Prosecco Bike in Amsterdam. The bicycle trip with Lucas was the high point of a very fun hen weekend. The windy, wild weather only added to the excitement and made it even more of an adventure. Lucas was not only a great guide, but a really warm, kind and interesting guy – full of good humour, philosophy and wisdom. If you want to see the city and get some history in a unique way, get some exercise, drink prosecco and laugh your heads off, I can’t recommend this highly enough. What a great bike ride we had celebrating my cousins hen weekend. The weather was blowing a gale but Lukas made it so much fun. Informative about the old Amsterdam and passionate about his city. Made our hen weekend. Brilliant fun Lukas see you in Brazil!! Brilliant fun experience, with a bit of history! We all had a wonderful time and such a laugh. Would recommend highly to anyone and ask for Lucas to be your guide. Thank you, from thr crazy liverpool gang! 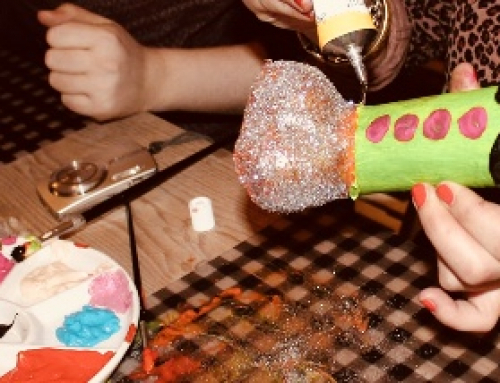 I was on an amazing hen do (dressed as nuns) and had the opportunity to do this activity. So much fun, the guys were great and put up with some very excitable ladies! I had the best time! Thank you so much! It was totally worth booking through Amsterdam Bachelorette. 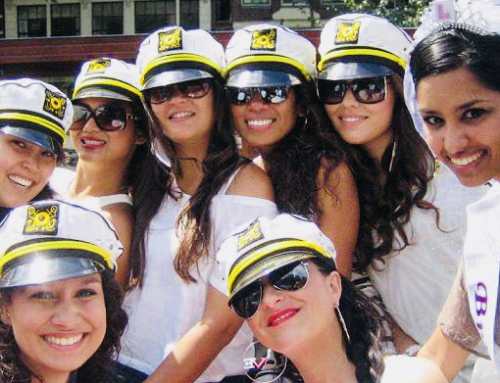 It made my life so much easier since communication before the hen weekend was really quick and informative. Lots of the 17 girls said the Prosecco Bike ride was the highlight of the weekend!!! Sergei was a brilliant guide and made the experience so much more enjoyable. Would definitely recommend using Amsterdam Bachelorette for any of your hen party activities!